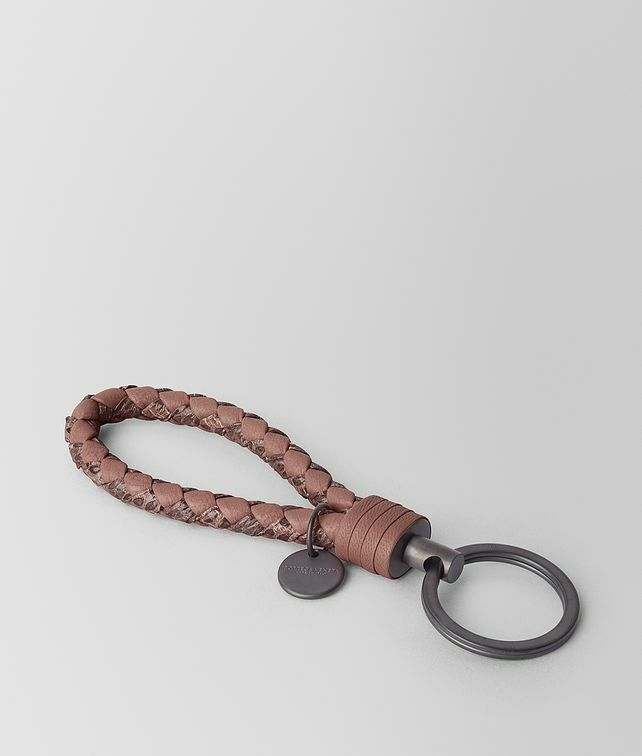 This distinctive key ring is woven by hand from ayers and nappa in a double-stranded intrecciato cord. Finished with a discreet logo pendant and brass palladium accents. Hardware: Brunito and Palladium finish Height: 13.5 cm | 5.3"